UK Sailmakers Winter Service is designed to look for the wearing effects of UV sunlight, luffing and flogging, tacking and jibing on your sails. We seek out the small problems before they can turn into big headaches next summer. 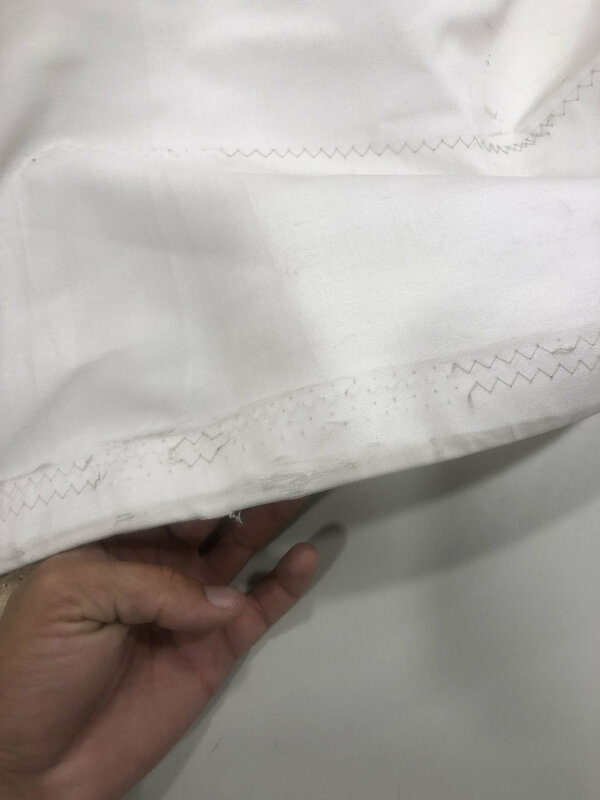 Shown in the photo is of two-year-old dacron genoa that just came into the loft for “storage only.” We suggested that the sail be inspected and found that the leech of the sail by the spreader is showing signs of chafe to the stitching and leech tape. As a result, we will reinforce this area with a chafe patch to prevent a rip from developing. This is just once example of how we can discover small issues before they become big problems that could interrupt sailing season that is way too short.